After multiple offenses, Edgartown shellfisherman gets license suspended. 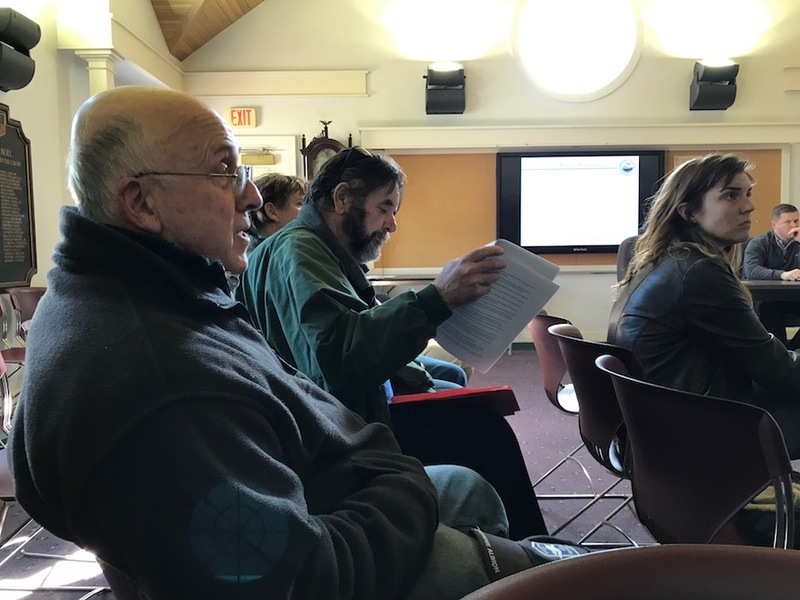 Edgartown selectmen suspended the shellfish license of Nick Viera at a shellfish hearing Monday for violating catch regulations. 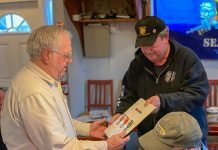 Shellfish constable Paul Bagnall, along with shellfish committee members Leslie Baynes, Ryan Smith, and Warren Gaines, told selectmen Viera had been hauling in immature scallop, or seed, in his catch. Bagnall said it is obvious what is seed and what is adult, and that it was suspicious when all the seed was on the bottom of Viera’s basket. The committee deliberated on the issue for more than 40 minutes, even considering a lifetime ban, according to Baynes, but decided to recommend suspending Viera’s license for three years. Gaines said it was Viera’s fifth offense. “The seed is the future. It protects all the other people who are earning a living on the pond,” Baynes said. Before selectmen voted, chairman Mike Donaroma asked Viera if he had any final words. “I don’t even know what to say about that,” Viera said. “Yeah, it’s unfortunate,” Donaroma said. In other business, selectmen approved the installation of two traffic counters along Edgartown–West Tisbury Road and one on Edgartown–Vineyard Haven Road. The Martha’s Vineyard Commission is using state and federal Transportation Improvement Program funding to install six permanent traffic counters across the Island. MVC special projects manager Dan Doyle told selectmen the counters will help the Island better understand its traffic trends, how far the shoulder seasons extend, what types of vehicles travel on the roads, and which direction the vehicles travel in. 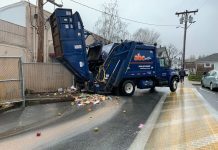 Selectmen approved the plan, pending final approval from Police Chief Bruce McNamee and town administrator James Hagerty. Selectmen wrote a letter thanking police Sgt. Thomas Smith, who retired after serving for more than 30 years with the Edgartown Police Department. Selectmen said they would mail the letter to Smith, but McNamee said it would be easier if he hand-delivered it. Catherine “Betsy” Buck was appointed as the new Edgartown animal control officer. Buck has been the interim animal control officer since Barbara Prada retired in January after 37 years on the job. Hagerty said Buck was highly qualified for the position. Buck holds a degree in veterinary science from the University of Pennsylvania. Updated to add Catherine Buck’s appointment. — Ed. Anything short of a lifetime ban is foolish and soft on the part of the selectman. Guys like him are why fisheries struggle. Ban him, end of story. What is unfortunate is that he’s not the only one, he just got caught because they knew to watch him….you know there are others and unless they are actually caught in the act, you can’t prove it.